There are a few things every company should consider when choosing a new ERP. The following questions do a great job of pointing your business in the direction you want to head with a software vendor. These questions may be answered during a specific phase of your ERP vendor selection, but are generally good to revisit at all stages. Consider the following factors when comparing ERP systems and the vendors that provide them. It might even be helpful to create a separate software vendor selection checklist as you hunt for the perfect ERP. This will ensure not only a great system but a great partner for your business. What technologies does the ERP solution offer? What are the system’s functionalities and ease of use? These are considerations to have during your entire software selection. Taking the following actions can help you better understand ERP, gather your requirements or compare systems. Consider the current challenges that your organization faces that would be solved or reduced with an ERP system. Evaluate which of the ERP system functionalities would accomplish this and which you plan on actually using. If possible, arrange for a demonstration to see if the potential end users find the platform easy to use and whether the platform allows them to carry out their daily tasks. Ask if there is extensive documentation or help files available to assist users with issues they encounter. Inquire about integration. For instance, how does the CRM interface with the overall ERP? What will the true cost of the ERP solution be? Make sure you determine a rough estimate of your ROI before you sign any kind of contract. Evaluate the cost of the ERP platform and whether it is appropriate for the functionalities it offers. Determine if the charges will be one-time or recurring. If it’s the latter, decide whether your organization can truly afford to use this system on a continuous basis. Find out the charges for annual maintenance as well as any upgrades. Consider any hidden costs that might not be immediately apparent. Calculate the long-term total cost of ownership (TCO) for all aspects of the system, including hardware, software and support. Once you have finished with these evaluations, estimate whether the projected return on investment will be significantly more than the costs. What kind of support and training will be provided? Don’t wait until your implementation suffers to ask about vendor support and training. Hit the ground running by understanding what’s available to your company before you choose a system. Now that you’ve had a chance to think about some of the key ERP selection criteria you should consider when buying an ERP, it’s time to talk about the formal ERP vendor selection process. This easy-to-follow. four-stage approach helps you determine your business needs, evaluate and compare solutions, validate your technical requirements, and negotiate a great contract. You can think of your list of requirements as an ERP selection criteria checklist. Requirements are what your business needs from a software solution. This will help you decide whether ERP is the right fit for your business. Evaluate your current business operations and how ERP software can fit into them. For example, do you need a responsive solution to accommodate your employees using mobile devices? What are the reporting and metrics that will be most useful to you when running your business? Consult with senior-level executives who can engage and encourage employees in the process of implementation. If possible, appoint a team to oversee the process of selection and installation, including an executive and a project manager. Take honest stock of the ways your business could and should change. Determine the ways ERP capabilities can transform your operations and improve business performance. Armed with your specific business requirements, you can now perform preliminary research to see which ERP system meets your needs. You can do most of this research online, but you can also contact ERP vendors and seek informed opinions from colleagues who use ERP software systems. Also, consider ERP consultants as potential resources to find the right fit for your business. Use the information you’ve obtained from requirements gathering and research to help you get relevant, informative answers from potential vendors. This makes it very easy to determine whether a vendor fits your needs. Make sure the vendor’s product works with your existing legacy systems. Check whether the vendor has experience in your industry, which increases the likelihood of a smooth transition. Verify that the vendor completely understands your business needs and provide the vendor with any project plan you’ve drawn up. Compare Top ERP Software Leaders. Epicor’s latest ERP platform offers a more complete and simple interface for both employees and suppliers. The platform also has additional functionality and responsiveness across multiple mobile devices for faster and more comprehensive collaboration. On-premise, cloud or hosted deployments are available. Epicor ERP allows your HR staff to work from anywhere. 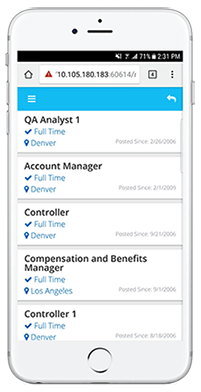 Recruit from your desktop or from a mobile device. IFS’ solution is an innovative player in the ERP market. 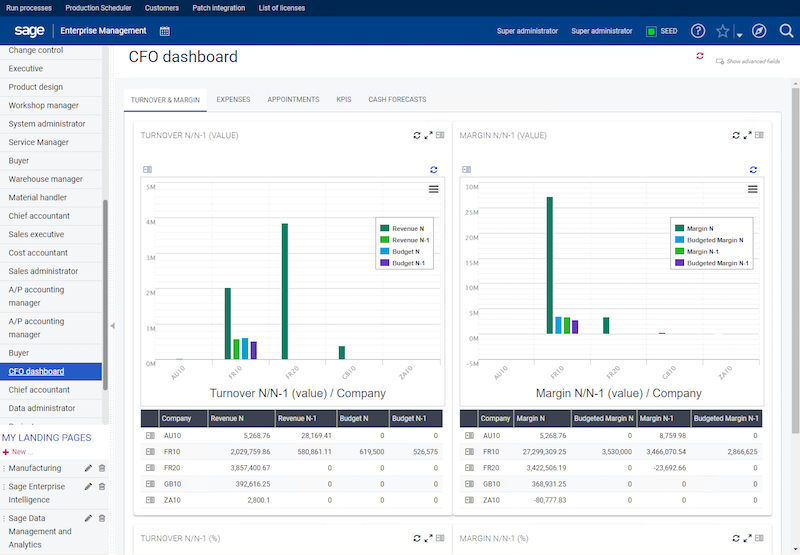 While some ERP suites are complex and difficult to use, IFS has simplified functionality for enterprise project management (EPM) and enterprise asset management (EAM). In addition, this ERP suite can be configured for a broad range of intensive manufacturing, aerospace and even engineering settings. IFS handles even the most demanding tasks gracefully. IFS lets users quickly see the status of purchase orders with easy-to-understand visuals. Infor ERP is best suited for large, industrial enterprises like manufacturers and large-scale distributors. Its unparalleled scalability allows for efficient expansion or compartmentalization. Its cloud-based deployment offers adaptability and advanced planning capabilities for even the most complicated business processes. 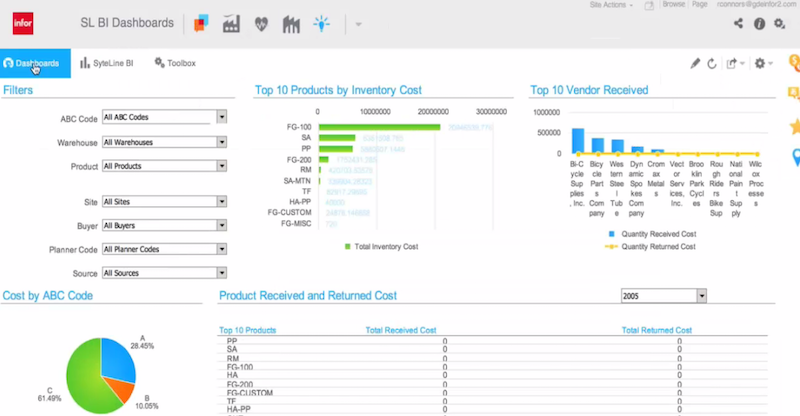 Infor’s business intelligence tools provide a bright and intuitive interface for users. Microsoft’s ERP solution is ideal for large, global enterprises. Its core functionality provides streamlined business processes and supports both single instance and two-tier deployment methods, even across international corporations. This powerful software is goal-driven and perfect for any thriving business. Microsoft Dynamics helps users manage their finances and operations through a myriad of applications. 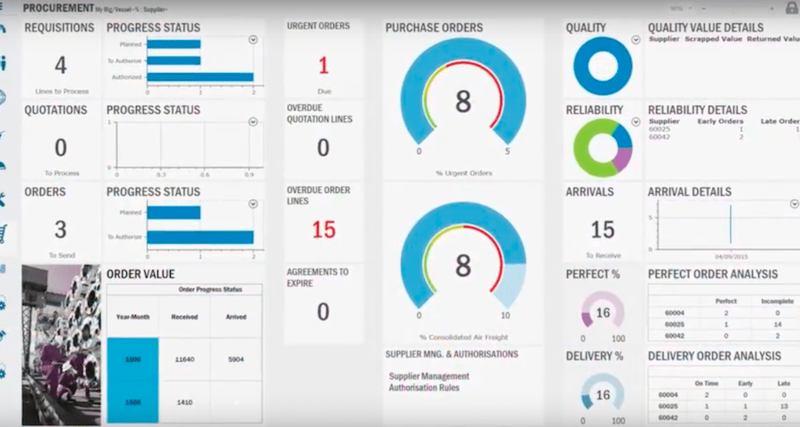 Oracle’s latest ERP platform aims to deliver high-quality technology for managing every aspect of your company’s finances. With EnterpriseOne, financial management is streamlined, helping increase financial accuracy. It allows for hands-on project cost management from start to finish. It also integrates features like asset management and real-time operational reporting to ensure organizations maximize profitability. We found that this version outperformed Oracle E-Business suite across 20 key business and operational requirements. Oracle JD Edwards ERP provides a clean interface yet conveys large volumes of information at once. Sage ERP is ideal for SMBs. The platform’s speed and flexibility allow businesses to increase efficiency and accelerate core business processes. As a cloud ERP available on mobile platforms, Sage X3 allows for easy and more timely collaboration. Its cloud deployment is easy to implement and quick to change, which is ideal for any business looking to maximize growth and profitability. Sage’s ERP system allows users to customize their dashboard, allowing them to see the most pertinent information to their position. SAP’s ERP, tailored for mid-sized businesses, is a complete, integrated suite which can run your whole enterprise – financials, human resources, sales, procurement, customer service and supply chain. A web-based ERP with exceptional mobile deployment allows for increased efficiency as well as 24/7 access to analytics and reporting. SAP’s monitored data centers ensure high security of your organization’s sensitive information. 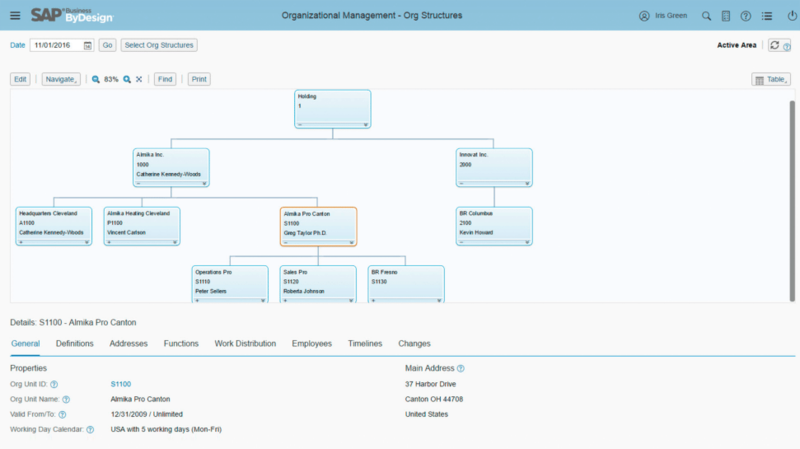 SAP ERP provides a hierarchical view of your business’s HR functions. SYSPRO is a top ERP vendor for any organization with its primary benefit being able to capture large amounts of data in a highly-optimized user interface. It works in both network and mobile platforms, offering 24/7/365 access to the entire ERP suite. It has an increased degree of customization throughout each of its applications, allowing your business to design a custom interface for your unique needs. With SYSPRO ERP, users can easily access customer information from a centralized portal. This ERP vendor provides a manufacturing-focused system to give users visibility of the receipt and fulfillment of customer orders. IQMS supplies tools that assist with all business functions. From your shop floor to your front office, this product allows users to perform tasks efficiently and with fewer errors. 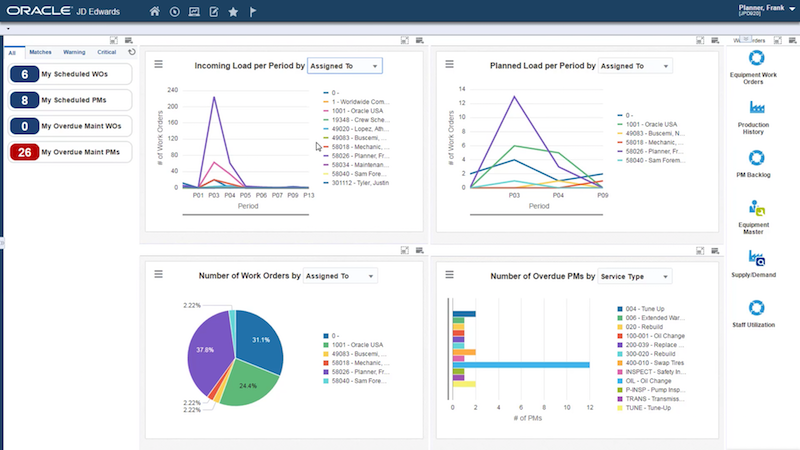 IQMS provides users with a customizable dashboard to convey an overview of important data. NetSuite provides the functionality needed to remain competitive in today’s global market. This ERP suite caters to organizations that need to consider multiple entities and the different countries they operate in. This is a great solution for midsize businesses that have the considerations of enterprise-level corporations, due to the complexity of their operations or widespread customer base. This solution emphasizes visibility into tax compliance, regulatory factors and other influences on revenue. 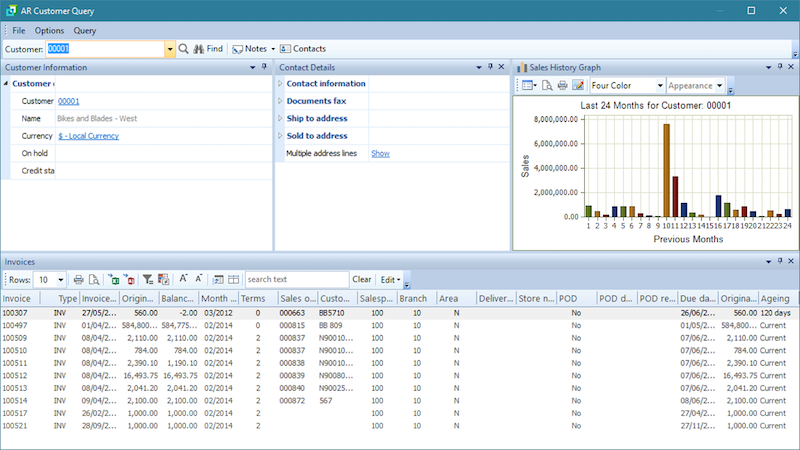 NetSuite OneWorld shows users KPIs on the homescreen for quick access to information. Tech evaluation scorecards are an invaluable tool when it comes to selecting ERP software. Comprehensive scorecards accurately and thoroughly evaluate ERP systems, providing a detailed breakdown of every function and capability. You should assess the ERP system using at least four criteria: cost, supporting user needs, improvement of internal processes and flexibility. After you’ve narrowed down your list of vendors by using tech evaluation scorecards and proposal information, it’s time to request demos from the vendors. It’s very important to see an ERP system in action, and a reputable vendor won’t have any trouble arranging a thorough demonstration. In addition to demos, request documentation that addresses how the ERP system will meet your business needs. Can the software be implemented in phases? Panorama reported that 61 percent of ERP executions run longer than expected. Implementing ERP software in stages will help improve operations without disturbing the flow of business. It will also allow training to occur in separate stages, allowing most of the company to function as usual as one area or department focuses on learning to use and manage the ERP. How is training handled? Will the company need to create and provide all of its employees with training, or does the vendor offer training? Find out what the cost of training will be. You’ll win out if you minimize the cost of training but maximize its effectiveness. ERP software won’t benefit the company if nobody knows how to use it correctly. What are the costs of hardware and software replacements/updates? In order to come up with an accurate cost-benefit analysis, you need to uncover any hidden expenses. During an ERP demo, find out how likely it is that the hardware (if applicable) will need to be replaced and in what time frame. Ask what’s involved in regular maintenance so you can decide whether it can be handled in-house or by the vendor. Inquire about the costs of updating the software as well. Can the software streamline customer service? Find out how the software can be used to simplify your customer service needs. Many ERP platforms can analyze client data to help not only the customer service department but also the marketing and sales departments. How can the software be used in the human resources department? An ideal ERP will help you manage an employee from the time he or she is hired. Being able to access policies and procedures, timesheets, payroll and training systems in one place can help those in the human resources department increase their productivity. What are the mobile capabilities of the software? If your company operates out of various offices or if your sales team travels regularly, it is essential for the ERP to be accessible from outside the office. Check out the intuitiveness of the mobile interface and find out which teams can benefit from this accessibility. Ask about the security of the software when accessed from a mobile device. How long should the ERP last? The longevity of an ERP can vary from vendor to vendor. While many companies start to look for a new system after five to 10 years, seven percent of businesses use an ERP that’s been around for 15 years or more. Find out how long the ERP will work for your company so you can budget for upgrades and plan for potential growth. ERP software can pull everything that’s going on in the different departments of a company together without much additional manpower. During an enterprise resourcing planning software demo, make sure you ask the right questions to ensure the ERP has the exact capabilities your company needs. Evaluate the capabilities and cost of an ERP system against your business processes and needs, your organization’s budget, and the projected savings to ensure the ERP system will benefit your business and that it is financially viable at this time. Budgeting concerns and expenses ultimately determine the long-term viability of an ERP system. Consider what the true cost of ownership of implementing an ERP project will be. Will fees be one-time or recurring? If recurring, will they be annual or monthly fees? What are the costs of installing the solution on-premise versus in the cloud? What would the estimated costs be to update the software if your business underwent a restructuring? Also consider whether the vendor will provide support and training during and after the installation, which may affect your costs. Before investing in an ERP system, ensure potential ERP software vendors are responsible and respected within the industry. You may want to perform additional research at this point. If you haven’t already, request information from the vendor’s other clients and seek opinions from your professional network. After you’ve chosen your vendor, received your quote, reviewed your proposal and completed your case review, it’s time to negotiate your contract. Approach negotiations confidently, armed with your business needs, required ERP capabilities and financial constraints. This strategy allows you to easily find and select your ideal ERP system. While it may be time-consuming and labor-intensive, your meticulous ERP software selection process will pay off. But to make things a little bit easier, we provide technical evaluation scorecards for extra diligent documentation. Before long, you’ll find the perfect ERP solution for your business. Thanks, great to see a comprehensive guide. What are the suggested ERP systems for the smaller end of town? I.e. 10 to 20 employees companies that are starting to outgrow their current accounting packages? Seems like most ERP platforms are cost-prohibitive for smaller companies? We have a product directory for ERP found here: https://selecthub.com/categories/enterprise-resource-planning-erp that has filters on company size and price so you can drill-down on some recommendations. Talk to our team, too. They could give you some recommendations based on your specific needs and business size.